A Study of Proverbs Chapter 8. When we lay down our selves, he never lets us down. When we give up, he gives more. One thing he mentions is pride. Pride is one of the biggest hurdles we must overcome in learning to love our neighbor as ourselves. It can also prevent us from heeding the advice of others because we think we know best. 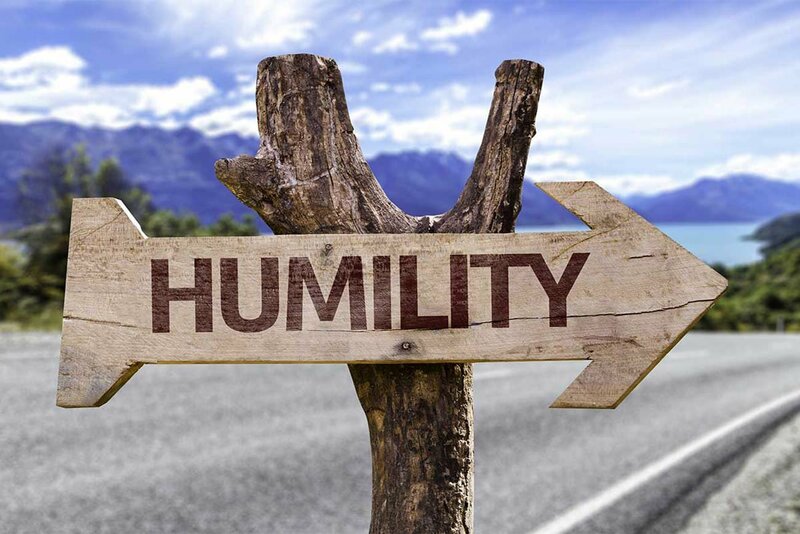 Let’s examine what Proverbs 8 tells us about the important character trait of humility verses its opposite: pride. This verse describes characteristics in ourselves that we should despise. Evil here is the word ra meaning “distress, evil, misery.” This word can even have the sense of not just an evil thing but also an evil person. In other words, an evil person in this verse is one who displays these particular characteristics. Being described as “evil” is strong language and indeed begs us to delve deeper into these traits. Boasting comes from a haughty attitude. Paul warns that only a little arrogance can cause the whole body to be spoiled. Commentators throughout the centuries have asked the question, “why did Jacob bow down before Esau?” In Genesis 32:18, he even calls Esau “my lord.” Although there were many different answers to this question, some ancient rabbis speculate that it was due to his humility. Jacob humbled himself before Esau and was therefore able to appease him and embrace his brother once again. If he had remained stubborn and arrogant, there is no telling what harm could have come to him and his family. He had to lay down his ego in this time of crisis. For the sake of his family and loved ones, he had to sacrifice his pride. This is selflessness. Selflessness means to put yourself aside for a while, and abolish your ego. It is difficult to lay down our own desires and pride, but for us as disciples of the Master Yeshua, this is our calling. The greatest example of humility was Yeshua. Even his birth in the humble town of Bethlehem took place without fanfare or the proper necessities, and with stable animals looking on. Hardly the birth we would script for King Messiah. Yet this set the tone for his life, which was about self-sacrifice and self-denial. In the Master’s saying we find a call to offer up our lives daily. This does not mean that we will all become martyrs and die for our faith, but rather it is dying to ourselves. He asks us to lay down our own desires and ambitions. As we have noted, this can sometimes be a scary thing. When something is our desire it means that it is close to our hearts, which means that we have an emotional attachment to it. But the Father is faithful. When we lay down our selves, he never lets us down. When we give up, he gives more. Going back to Proverbs chapter 8, the writer of Proverbs tells us that “pride and arrogance” are things he hates. To accept his wisdom, we must hate those qualities as well. It is this attitude that gets us closer to humility. In reality, attaining humility is a life-long process, one that never stops. Just when we think we have it conquered and subdued, a little leaven pops up. Yet through the strength of our Master Yeshua and the example he set before us, may we take steps closer to this achievement every day.